Need to point out something in a photograph or make notes about a Web site layout? Need to share those notations? Need the notations to be self explanatory? Yup, Yup, Yup… that would be nice, how much is that app? Nothing… Nadda… Free! The folks at Evernote have brought their annotation software to the iPad, and they are offering it for free! 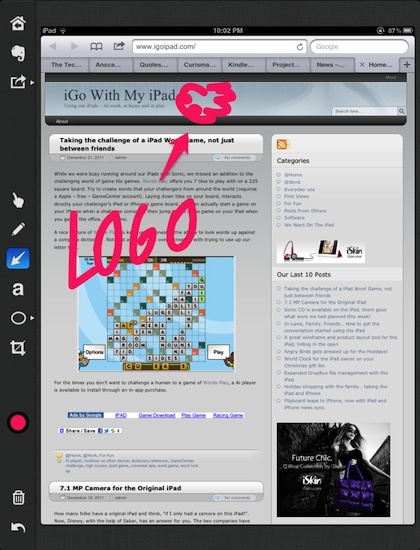 Now you can take a picture with your iPad2, or use a image in the iPad’s Library and draw on it as you please. 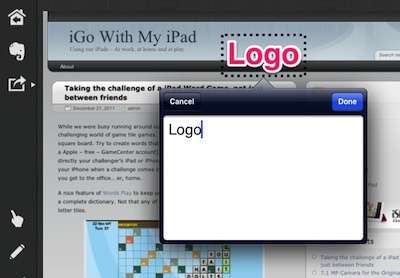 You can also type letters/words, you can draw circles/squares, you can insert arrows, and you can free hand sketch. In multiple colors and line thicknesses! Did we mention the free part? The name of the app is Skitch. Just like their desktop software, except specially designed for the iPad and your fingers. Sorry, no iPhone version, “yet”. 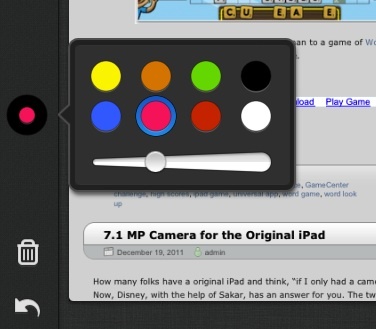 If you take a screen shot of a Web site, it will show in the screen shot area of Skitch’s launcher area. Sure, it’s actually a image and you can still access the screen shot through the iPad Library option, but Skitch is smart enough to know the particular image is actually a screen shot. When working on annotating a Web site, you can either use a screen shot from the built in Safari app, or use the Web browser within Skitch. When you have all your notations, save the completed work to your Evernote free cloud account. 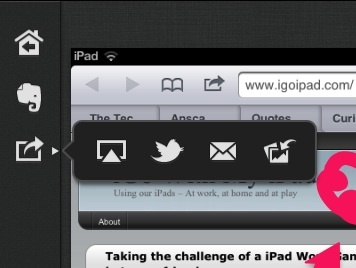 You can also share via email or Twitter or through a AppleTV2 to a TV/Projector screen! Using Skitch doesn’t have to be all around work, imaging how fast it is to get the word out about a party by using the ‘Map’ option and annotating right on the directions. 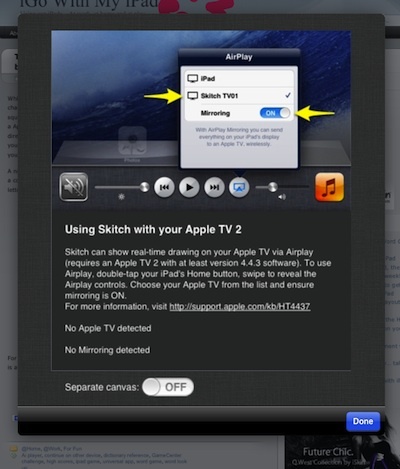 All that, built into the single free Evernote iPad app, Skitch.